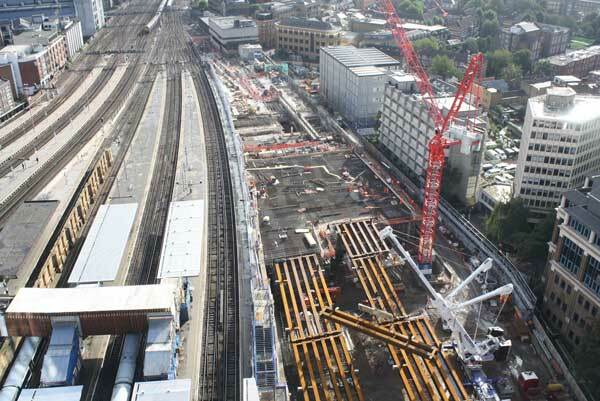 Cleveland Bridge has completed its work to supply and install steelwork for rail decks and concourse bridge decks as part of the major redevelopment and improvement of London Bridge Station. As the fourth busiest station in London, serving almost 54 million passengers each year, the rail-hub has remained open throughout the redevelopment. This presented a logistical challenge because the construction team had to ensure installation works were completed efficiently and as part of a strict timetable. Cleveland Bridge undertook trial erections of the steelwork at its facility in Darlington to ensure the on-site works would be completed efficiently and quickly. In an attempt to reduce disruption for commuters, the project was split into nine phases allowing London Bridge Station to remain open throughout. The decks were successfully delivered and installed on-site using a combination of cranes and, in the early stages of the project, commissioned scissor lifts alongside self-propelled modular transporters. The first phase of the project started in May 2013 and the final three platforms and the new concourse will be open for passenger use in January 2018.